It's a great day to be a Kiwi. Australia and New Zealand have often been used as testing grounds for the launch of major worldwide apps. The region was fortunate enough to get Pokemon Go before everyone else, which sent the country into a slow-walking frenzy. And Harry Potter: Wizards Unite might do the same. Users have been able to pre-register for an early access version of Niantic's AR-location game for a while, but it was only today that people in New Zealand have been able to walk around, zapping creatures as the Professor, Auror or Magizoologist. "Witches and wizards in New Zealand are invited to participate in a beta of Harry Potter: Wizards Unite," Niantic announced. "Download today on the App Store and Google Play to start testing the game and help provide feedback that will improve the game experience." There's no word on when the beta will be made available to iPhone users yet. 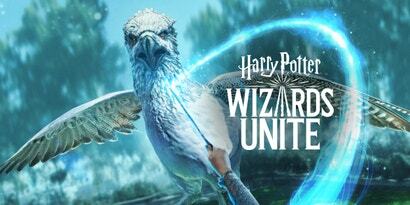 You can download the game now if you have a New Zealand Google Play account. Alternatively, you can change the location on your existing account - but that change could take up to 48 hours to go through. AAAAAAAAAAAAH! OK, we need an article on how to get around the region-locking, like... yesterday. Now. Whatever. NEEDIT. I mean, I'm a huge HP fan. But isn't this just more "f2p" MTX nonsense? Isn't it following the Pokemon Go model? I thought that was all about MTX? But still, I can't help but rebel against them - as not everyone has the same self control as your girlfriend. It's those people these games are designed to prey upon. You've got to draw the self control line somewhere. I tallied up all my purchases for Pokemon Go and it was about $100. I'm happy with the countless hours (and fitness) I got from it for that price. Heck, Ingress was an even better deal, they didn't even add anything to buy for years. That's the only game that's sent me actually camping and road tripping across the state. I believe you mean, Herry Potter, Wuzards Unite.